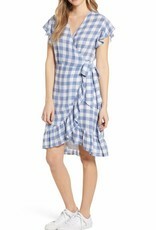 The Brigitte Wrap Dress is a playful checked mini dress, with flutter sleeves and a ruffled asymmetric hem. V-neck with wrap closure. 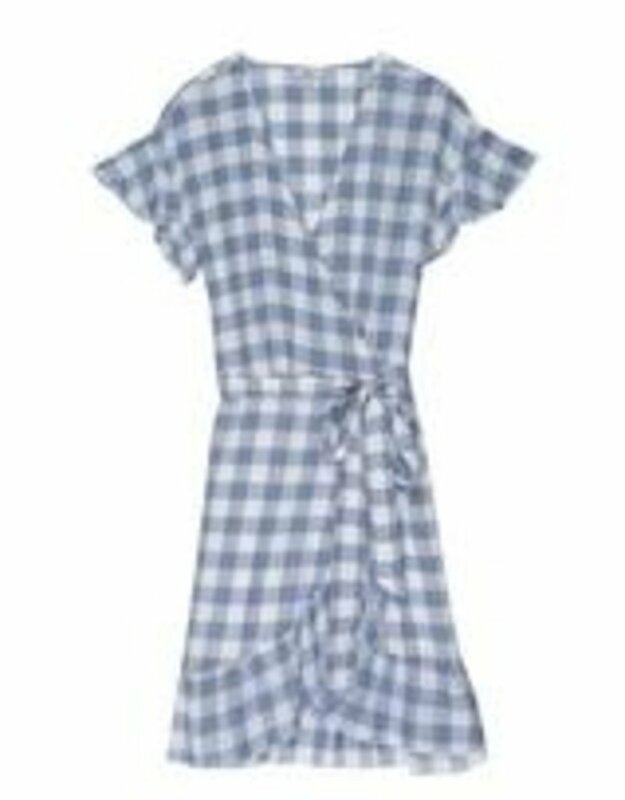 Lightweight, functional checkered wrap dress with adjustable ties at waist and flutter sleeves. Short sleeves. Partially lined. 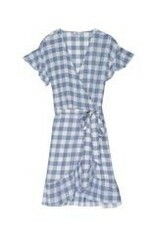 In blue/white. Fabric: 70% Rayon / 30% Linen. 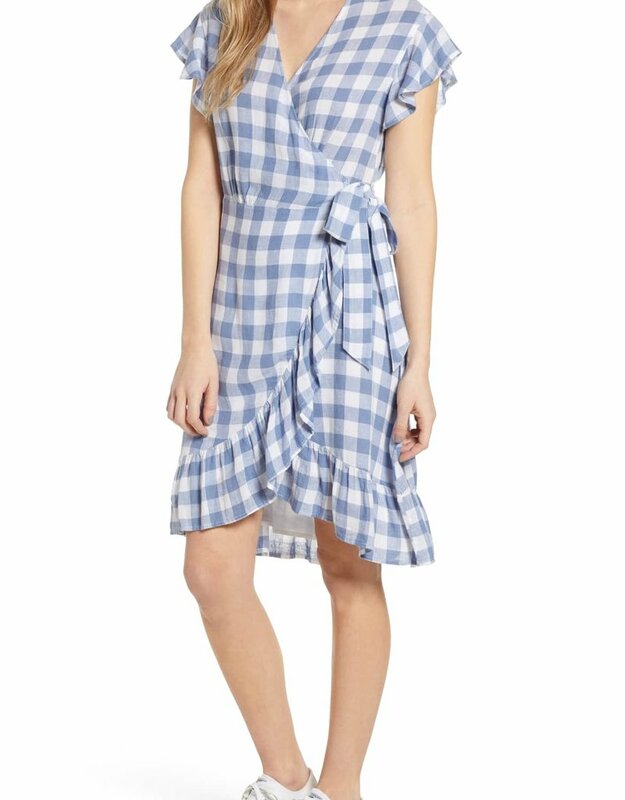 Fit:Recommend ordering true to size.